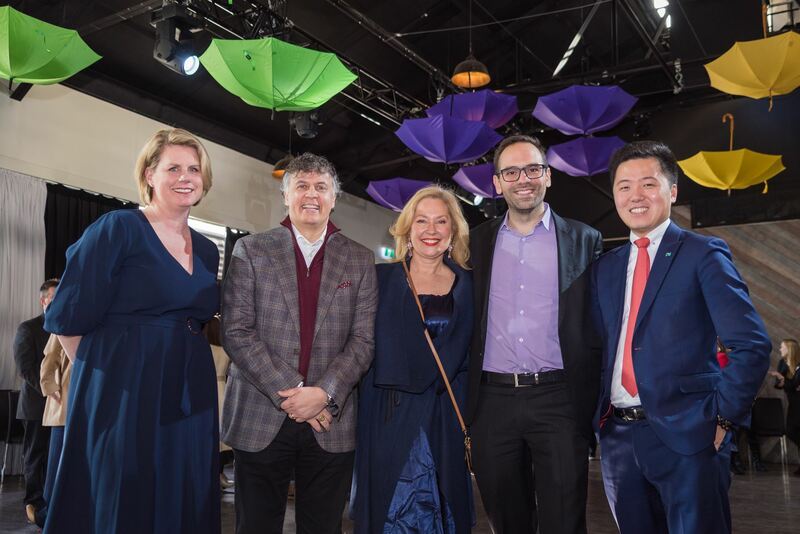 PICTURED (left to right): Monica Lunin – Director for CACC, Mike McGrath – Managing Partner – CMO for PwC Australia, Laura Anderson – Chairman LaunchVic, Martin Enault – CEO Asia Pacific for C2 and Philip Le Liu – Councillor for City of Melbourne. 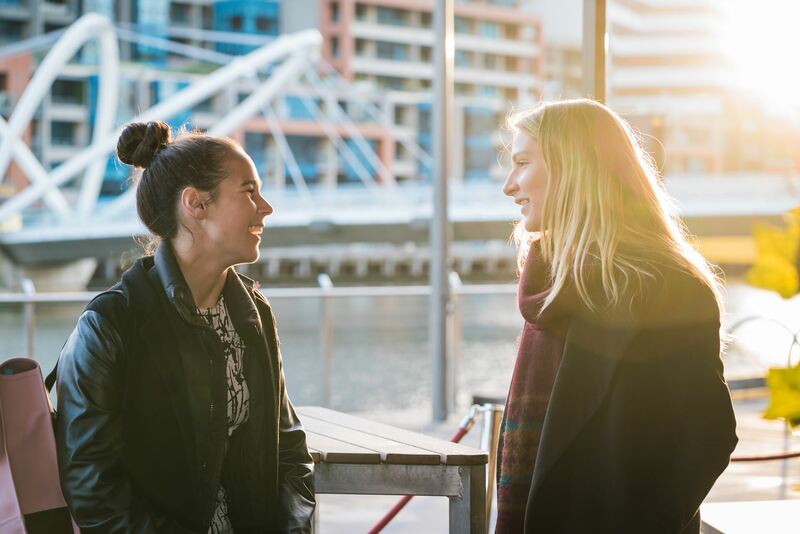 There has been much hype and fanfare surrounding C2’s move into the Australian marketplace. Founded by Cirque Du Soleil and Sid Lee, the Montreal-based company encourages businesses to embrace disruption and innovation theory and harness the potential of human connections for a better future for us all. 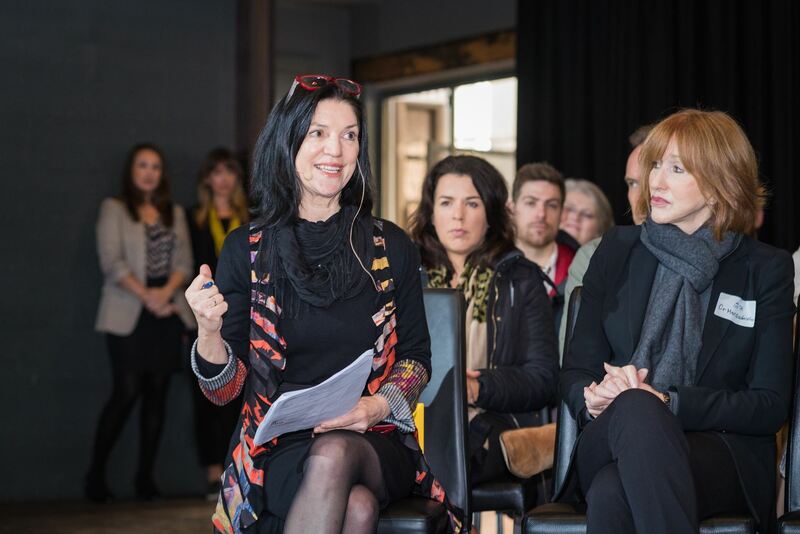 C2 Melbourne teamed up with the CACC to host a panel discussion in Melbourne last week, ahead of its first international flagship conference to be held in Melbourne this October. 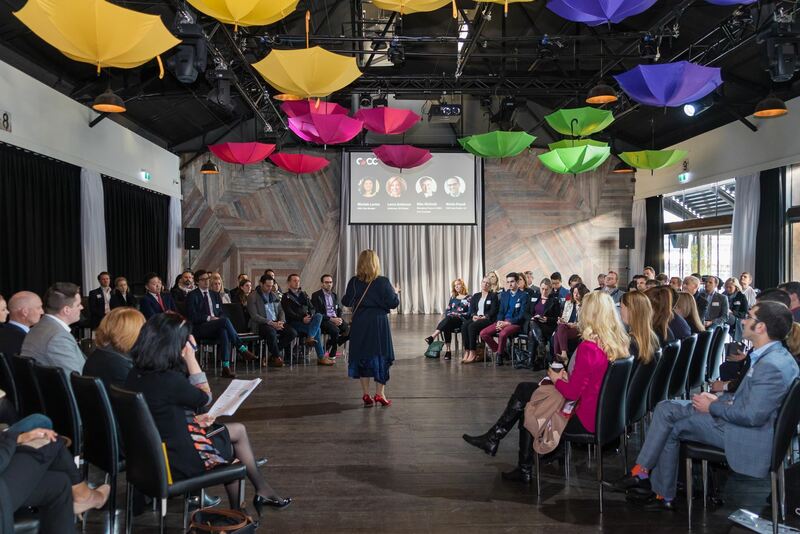 Described by the Harvard Business Review as “the conference that is reinventing how we network”, C2 claims to transform the way people think about imagination and creativity in business. C2 conferences literally take idea creation and networking out of the box – at its conferences it is not uncommon to see people networking in a plastic bubble or collaborating in an electric boat. It stimulates the imagination while bringing the brightest minds together to spark new and creative ventures. The panel discussion was chaired by C2’s CEO for the Asia Pacific region, Martin Enault and led by prominent business professionals including Mike McGrath, Managing Partner for PWC Australia, Laura Anderson, Chairman of SVI Global and Michele Levine, CEO of Roy Morgan. It created thought-provoking debate amidst the group. Following the opening panel discussion, attendees were invited to take part in a dialogue known as the ‘Barometer Lab’, where people share ideas on topics such as the effects of digitisation on today’s workplaces and the critical elements a business must have to be successful into the future. The questions also prompted intriguing debate and discussion, which lingered long after the event had concluded. C2’s conferences create an avenue for businesses to devote time to idea creation, rather than relying on new ideas arising spontaneously. C2’s philosophy is that we need to devote time to idea creation or risk becoming obsolete in today’s fast-paced tech-dependent world. Martin Enault said C2 was about bringing people together across industries to better solve the problems of the future. Monica Lunin, CACC Director, described the event as a business conference but not as you know it. 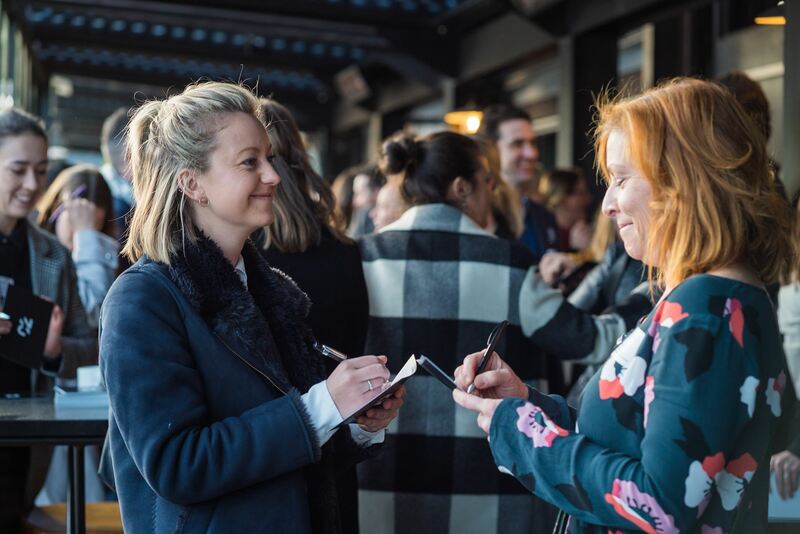 “C2 facilitates events that make space for us to really think and collaborate and creates an environment where we have the power to influence minds,” Ms Lunin said. City of Melbourne Councillor Philip Le Liu said C2 fostered a different way of thinking and interacting with people. “These events are critical, from a corporate and business perspective, to ensure we remain at the forefront of business development,” Cr Le Liu said. The forum reinforced the notion that behind all technological developments and innovation are people, and ultimately it is our connections with those around us that will drive the future of business globally.